Mrs. Hankinson's Class: Happy Thanksgiving! Announcing a Sale! Christmas Products! Happy Thanksgiving! Announcing a Sale! Christmas Products! I hope you and your family are having a blessed day as you gather together. My husband and I are visiting with family and have had a wonderful time together! As you make your shopping list for the weekend, I hope that you stop by my TPT store for the Cyber Monday sale! Be sure to use the promo code CMT12 to get the full 28% off all products in my store! Click on the image or HERE to go to my store. Happy shopping! I have recently uploaded a number of products to use in December. December Words - use in a writing station or part of a word wall; includes a header card (pictured here) and 39 related words. Click HERE. December Packet - includes the December Words packet, 15 picture puzzles, word problems (addition and subtraction), roll, add, and cover game boards using 2 or 3 number cubes, word work activities, and contraction concentration. Click HERE. Christmas Patterns - 6 pages of various Christmas themed images, along with a 2 page evaluation. Click HERE. 10 More or 10 Less/1 More or 1 Less - includes a completed hundreds chart and one with blanks; 18 number cards (Christmas themed); and 4 printable pages. Click HERE. Santa Claus reader - follows the "Brown Bear" story. Click HERE. What Rudolph Saw on Christmas Eve - includes reader in a big book, printable reader for children, pictures to match text, and 2 comprehension activities. Click HERE. Christmas Themed Sight Word Games - 2 different games; uses all the words from the preprimer and primer word lists; play 2 different ways - (a) print 2 copies of each page of words to play concentration, (b) use the "Ho Ho Ho!" cards and one set of the word cards; when a child pulls the Santa card, he/she loses all of his cards. Click HERE. The first 2 to leave a comment sharing a Thanksgiving tradition and email address will receive your pick of any one item listed above! Happy Thanksgiving! Thank you! Just before I am about to sit and eat- I am thankful for awesome bloggers like you who share your wisdom and resources! My family draws names for Christmas right after we enjoy dinner! Thanks! The Rudolph unit looks wonderful! Sarah, I hope you have the best Cyber Monday ever! Will you teach me how to do links in the comments section? 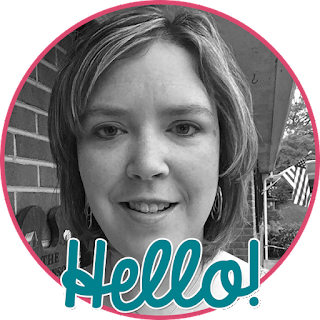 When you commented on my linky party, you were able to send me links to 3 places, and it was so easy to follow you at all of them! This is my email. Will you email me? I've nominated you for a Liebster Award! Check out my blog for details! I sure hope this comment doesn't post twice, but I got an error message so I don't know! I'm nominating your blog for a Liebster Award! Go to my blog to check it out!